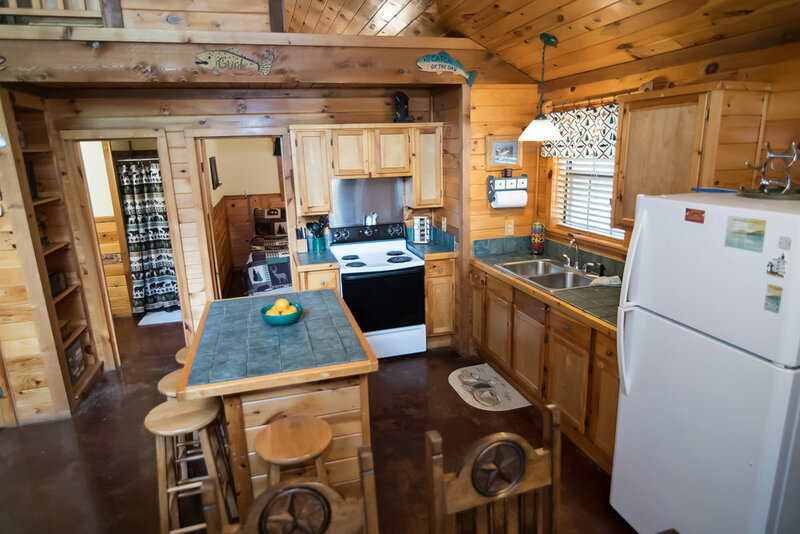 Golden Trout: 2 bed / 2 bath. Sleeps 6. Get ready to disconnect from the world and reconnect with each other. Golden Trout is all about getting away and spending time together. 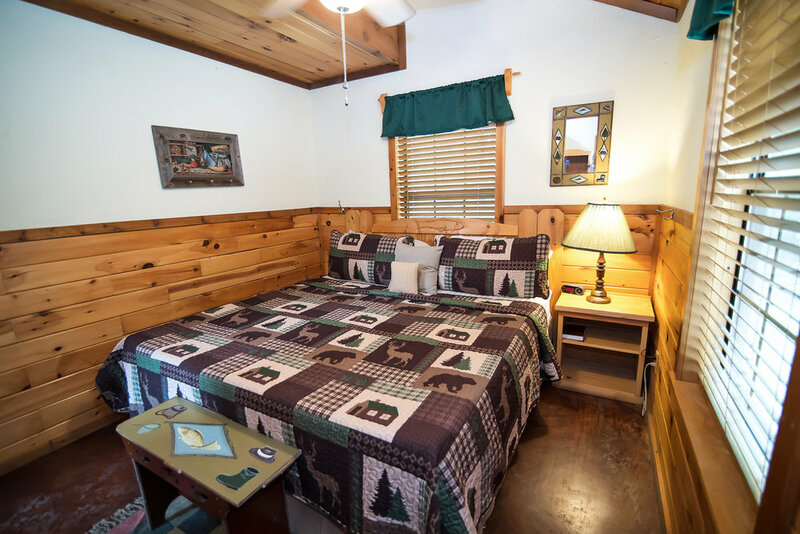 With 1 king, 1 queen size bed, and a day bed w/ trundle in the loft this cabin has enough room to bring the family together and catch up over food, drinks and fun. Golden Trout is perched on the side of a hill and offers an easy access front entry. 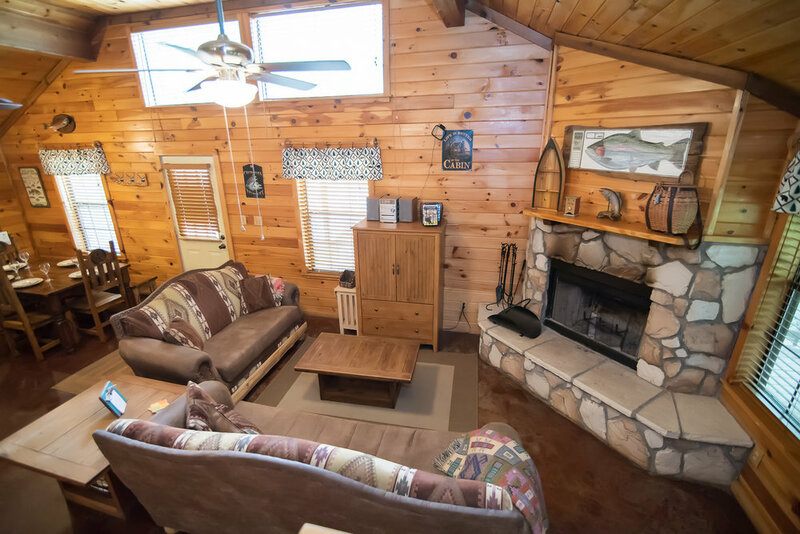 You will feel at home in the warmth of the open family room with its’ wood burning stone fireplace and comfortable furniture. Bring along some of your favorite movies, get a fire started and settle in for a night of movie watching. Or better yet – grab a couple of packs of cards or a board game and let the laughter begin. Since nothing brings a family together like food, you will be happy to find a kitchen filled with all the cookware and dinner ware you need for normal family meals. 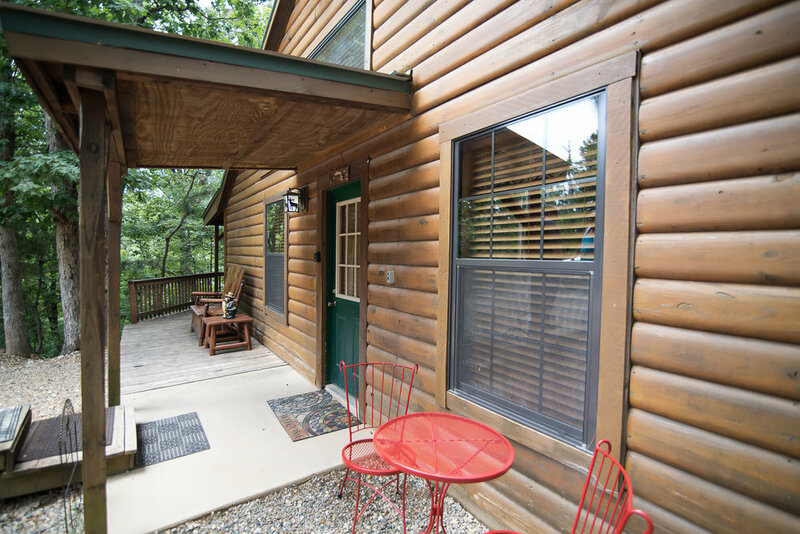 If your idea of relaxing is to grab a cup of coffee or a book and head out to the porch then this large covered deck looking off the wooded hillside will catch your attention. Guest love the private hot tub with it's own gazebo where you can unwind in comfort and seclusion. The fire pit area is great for cool nights filled with stories, s'mores, and stars. But if your idea of relaxing is a breath taking zip line adventure, or a long hike in the woods you are in luck. 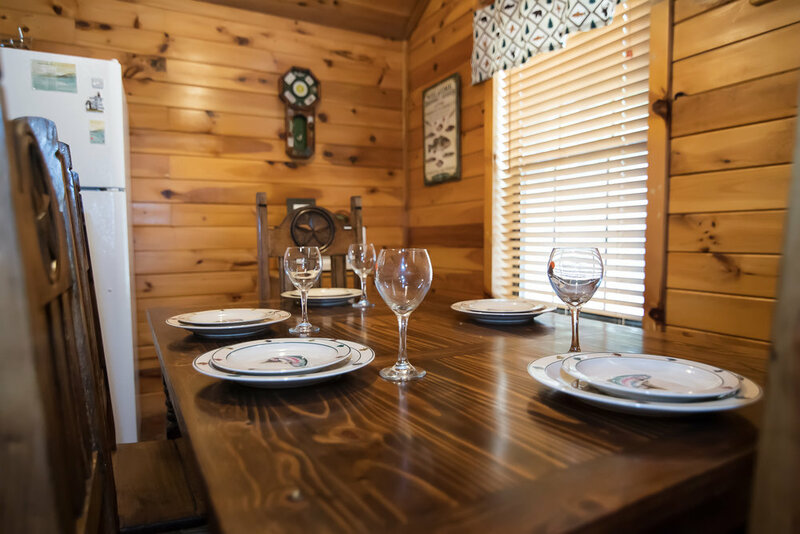 Golden Trout is well located to take advantage of all the local parks, attractions, and dining without spending forever in a car. You will appreciate being able to get to most activities quickly because that means more time hanging out at Golden Trout with the ones that mean the most. 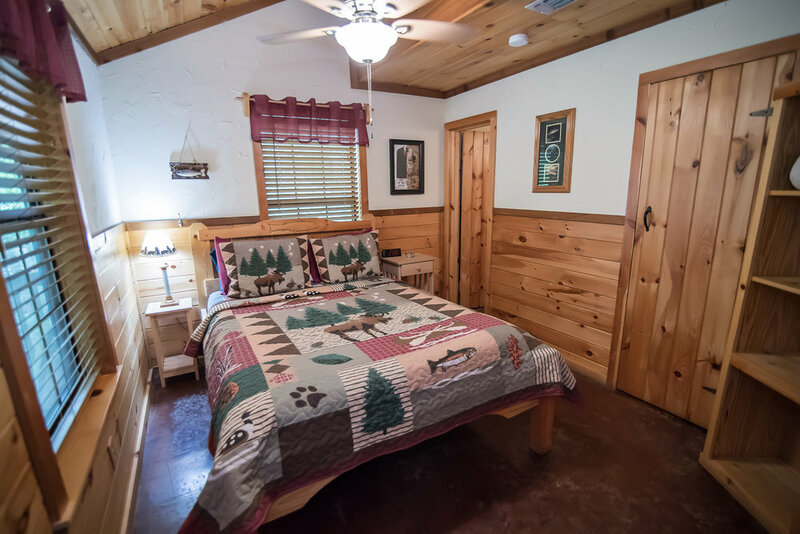 The cabin has a level, easy access parking area for cars and trucks. There are 2 areas provided for boat and ATV trailers.